Discussion in 'Guitars in General' started by jmcorey, Apr 12, 2016. 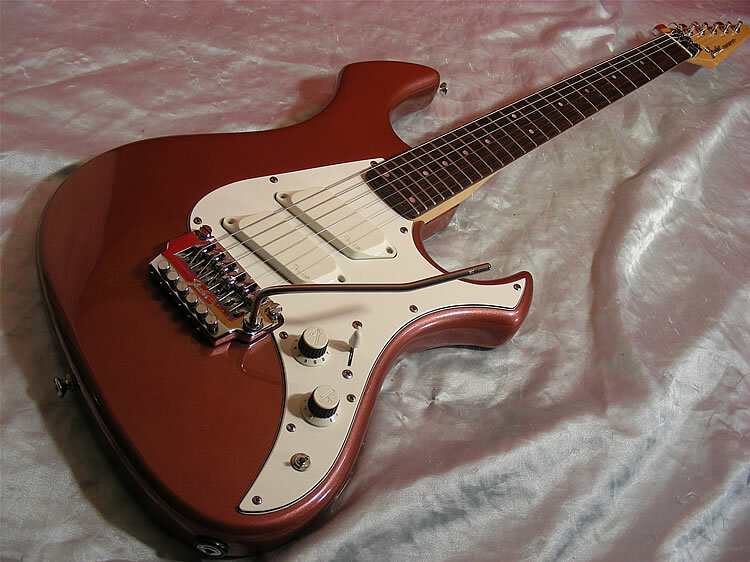 I am looking for a strange guitar body shape. I once thought I saw a picture of Russ Freeman playing one. The guitar is a double cutaway and has a non-descript rounded end section but an inverted V near the neck. 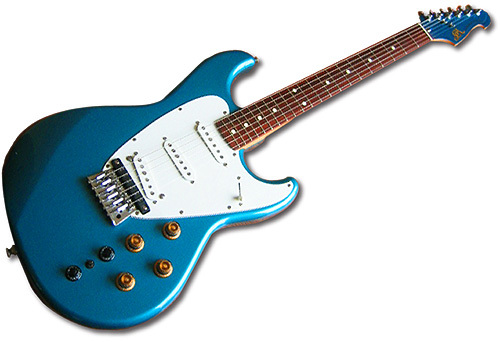 There was a pickguard that followed a V-shape, going on to both bouts of the body near the neck. There is a reverse Flying V. Is this what you are looking for? Hrrm, only thing that really springs to mind is something like a Gretsch Duo Jet. is it the one in this cartoon? 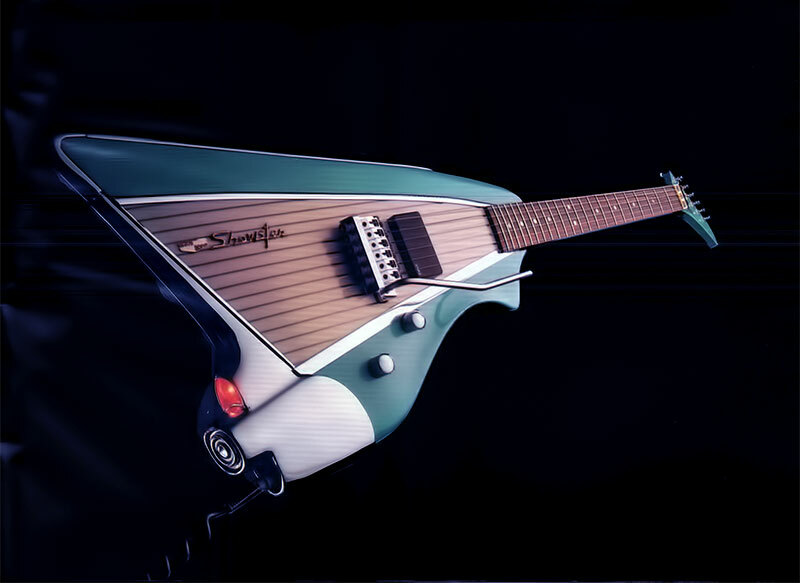 Like a Rickenbacker tulip type of inverted V? SPROING! and Torren61 like this. All good guesses, but not what I think I saw. Thanks, though. This. It's in this video, with best views between 3:40 and 5:00. Why in the hell do I like this? Oh baby!! I'm in love!!!! For some reason, I imagine these are props in The 5th Element.